Alfa bank has announced new mortgage options for non-residents working in Russia under special conditions applicable for all secondary market residential real estate approved by the bank. 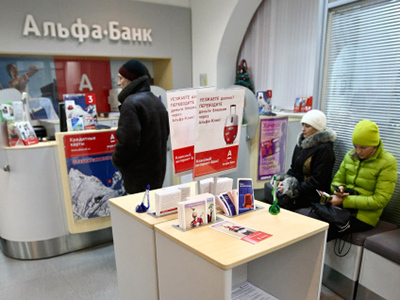 ­The maximum mortgage amount has been lifted to 45 million roubles or its dollar equivalent with an initial payment not less than 20% of the total mortgage amount. The conditions for non-residents of Russia are essentially the same as those for Russian citizens with only difference being verification of working status in Russia for three years. Ilya Zibarev, Deputy Head of the Retail Division in Alfa-bank, says non-residents should have equal opportunities on the mortgage market. Alfa-bank offers mortgages over 5 to 25 years on the secondary residential real estate and cottage housing, as well as refinancing of existing mortgages. Apart from documents proving three years working in Russia, expats are required to supply the traditional legal salary reference 2NDFL form or a bank form. They will not require provision of any registration documents. If the customer is already an existing Alfa-Bank payroll client there are for additional incentives. Korolyuk Mikhail, Head of Investment Management at IFC Solid, says mortgage can be attractive to non-citizens who wish to remain in Russia or become a Russian citizen. He says the move to provide mortgages for expats could help boost commitment to Russia amongst employees and business people already in Russia, but adds that it is likely to have only a minor effect.